Students looking to better prepare for a job interview can now find a helpful tool on campus — Career Services launched Big Interview software in August. Rob Borchardt, Associate Director of Career Services, demonstrates Big Interview, a new technology available to students free of charge which allows them to practice their interview skills. 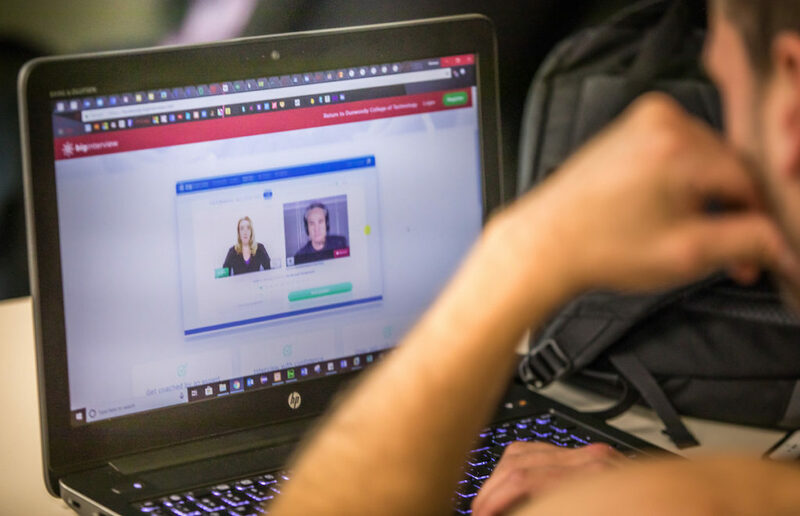 The new software not only allows students to view more than 100 video lessons on interviewing and negotiating, but also to participate in a mock job interview. During the mock interview, an interviewer cycles through more than 1,000 pre-recorded questions, ranging from general interview questions to those that are more specific to students’ respective industries. A built-in tool also helps participants craft responses, should they not know how to best answer a particular question. Responses are recorded and can be viewed after the interview, helping pinpoint areas of improvement. Students also have the option to send the interview to staff or faculty for further suggestions. Implementation of Big Interview was coordinated by Associate Director of Career Services Rob Borchardt. The new software won’t just be staying in Career Services either. Big Interview practice has also been added to the curriculum of a number of Dunwoody classes that focus on career preparation. 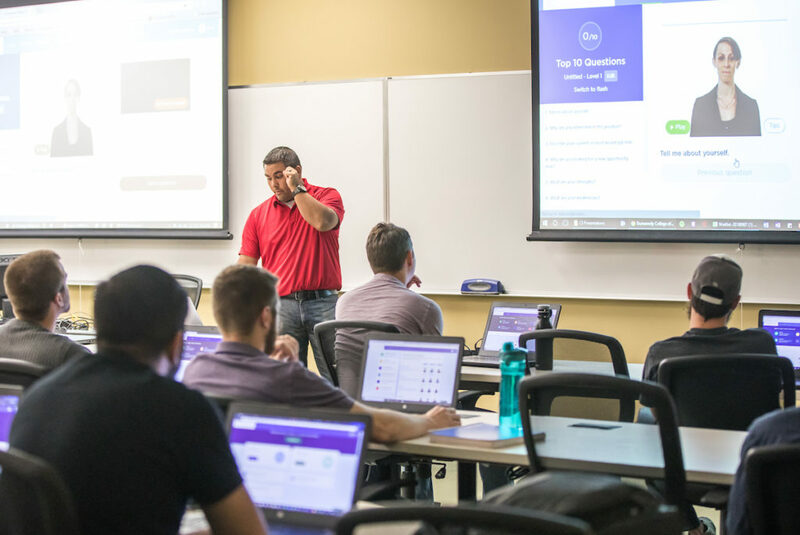 “In order to land the job they want, students need to be able to communicate to employers their skills, strengths, and goals,” Borchardt said. “This software will help them identify what they need to communicate, why they need to communicate that, and then be able to do so in a highly professional way. For more information on Big Interview, contact Borchardt at careerservices@dunwoody.edu.